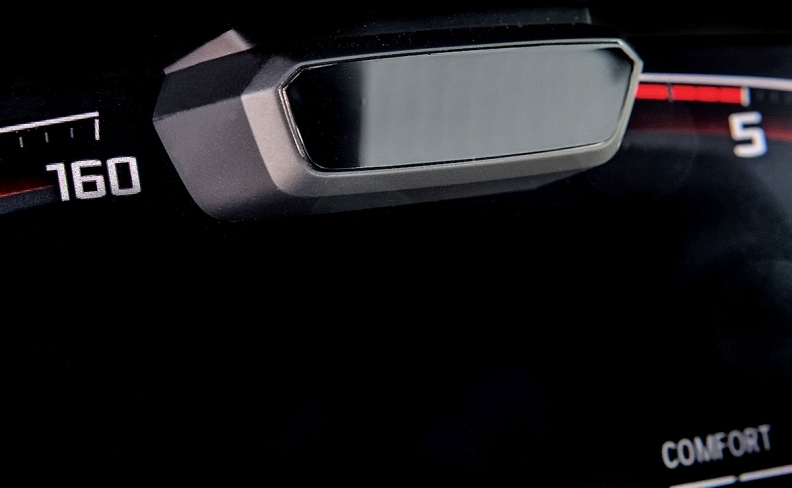 BMW's camera, mounted in the instrument cluster, keeps tabs on the driver's eyes. BMW will use facial recognition technology to help take the drudgery out of stop-and-go traffic. 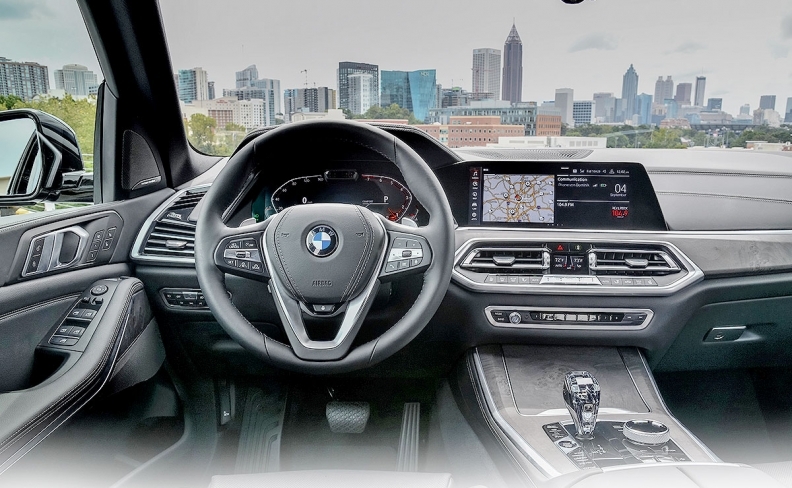 The semi-autonomous driving system, which debuts this year in the redesigned X5 crossover, allows for hands-free and pedal-free driving on limited-access highways and at speeds slower than 37 mph. For the first time, BMW is using an in-cabin optical camera to address a critical challenge with semi-autonomous driving systems — ensuring that drivers are paying attention to the road. Level 2 systems require a driver to take control of the vehicle if necessary. BMW's redesigned 2019 X5 is wider, longer and higher than its predecessor. The fourth-generation X5 has a camera mounted in the instrument cluster that checks to see that the driver's eyes are open and facing the road. The camera doesn't record in-cabin activity, BMW emphasized. It's an approach Cadillac has taken with its Super Cruise semi-autonomous highway driving system. It is less intrusive than the steering wheel position sensors some automakers use to monitor driver alertness. The camera-based approach provides direct feedback on whether the driver's attention is on the road, said Sam Abuelsamid, senior analyst with Navigant Research. Using an optical camera is less expensive and complex than an infrared camera system, such as Super Cruise uses, but the move is not without compromise. "One of the advantages of an IR camera is the ability to detect the eyes, even through polarized sunglasses," Abuelsamid said. Applying semi-autonomous driving systems to lower speed, in-traffic situations addresses a growing safety problem as commutes lengthen and traffic congestion worsens. The technology "reduces the cognitive workload on the driver in those urban stop-and-go situations," Abuelsamid said. BMW's approach to self-driving systems is not about taking away the driving experience, but augmenting it with technology, X5 product manager Michael Baxley told Automotive News. Stop-and-go traffic "is one of the most annoying parts of the drive," Baxley said. "Traffic takes away from the driving experience." The 2019 X5, which will arrive at U.S. dealerships in November, uses a suite of ultrasonic sensors, cameras and radar to drive semi-autonomously under certain conditions. BMW's driver-facing, camera-assisted Extended Traffic Jam Assistant system, part of a $1,700 package, will be available in December. The technology will gradually roll out across BMW's lineup. Meanwhile, the automaker is looking ahead. BMW is working on the next generation of autonomous driving systems with a consortium that includes Mobileye, Intel and Magna International. The iNEXT, to be built beginning in 2021 in Germany, will launch with Level 3 autonomous driving technology, meaning drivers must supervise the system and be ready to take back control. It eventually will incorporate Level 4 technology that allows the vehicle to drive without human intervention in certain conditions. The Spartanburg, S.C.-built X5 was BMW's best-selling crossover in the U.S. last year. To date, more than 2.2 million X5's have been sold worldwide, with a third of those sales in the U.S. The redesigned X5 is wider, longer and higher than its predecessor, and its new engines have higher horsepower. The 2019 X5 launches with a choice of two new gasoline engines, and a plug-in hybrid is expected in 2020 as a 2021 model. The xDrive40i version is powered by a 3.0-liter inline six-cylinder engine capable of delivering 335 hp and a 0 to 60 mph time of 5.3 seconds. The xDrive50i variant has a 4.0-liter V-8 engine that delivers 456 hp and can go from 0 to 60 mph in 4.6 seconds. 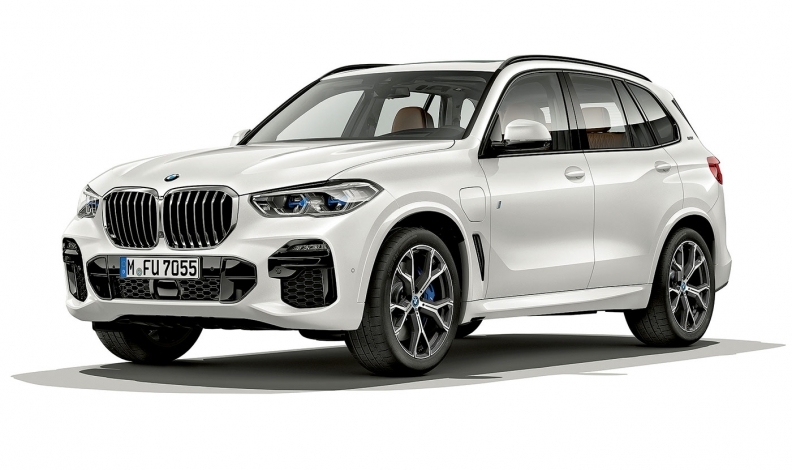 The redesigned X5 features an off-road package, offered in a BMW X model for the first time, that includes a two-axle air suspension and an electronically controlled rear differential lock. The suspension's air supply is controlled individually for each wheel, allowing it to balance an uneven load. When the vehicle is in Sport driving mode, or driving faster than 86 mph, the ride height is automatically lowered by 0.8 inches. Ground clearance for off-road driving can be raised up to 1.6 inches above the standard setting.